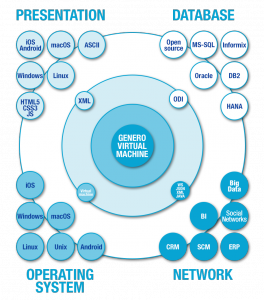 Genero is a development and deployment infrastructure designed to boost developer productivity – to liberate more time for creative juices and innovation by building apps orders of magnitude faster than with traditional tools. In a world where technology never ceases to evolve – where markets change in weeks and months – developers no longer have the luxury to explore new tools for new problems. Today, companies cannot wait months and years to roll-out new apps. They need to deploy new ideas in weeks, even days. Developer’s need to do more with less and that means their toolkit needs to be more versatile than ever. With Genero, apps never age – they evolve with the times. In the last 20 years we enabled our customer’s apps to follow trends such as Service Oriented Architectures using Web Services, Software-as-a-Service with HTML5, and of course the mobile revolution with gesture-based, touch-sensitive smartphones and tablets running on iOS and Android. Apps that were designed many years before these concepts appeared. Apps that run everywhere, and will continue to run everywhere for decades to come. We acheive this by abstracting business logic using Business Development Language (BDL). BDL’s simple grammar contains no technology specific code to create lock-in. That way, apps define business procesess that are easy to read and maintain. 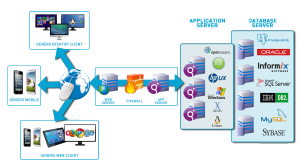 BDL hides complexity which is managed by the virtual machine that executes the app. 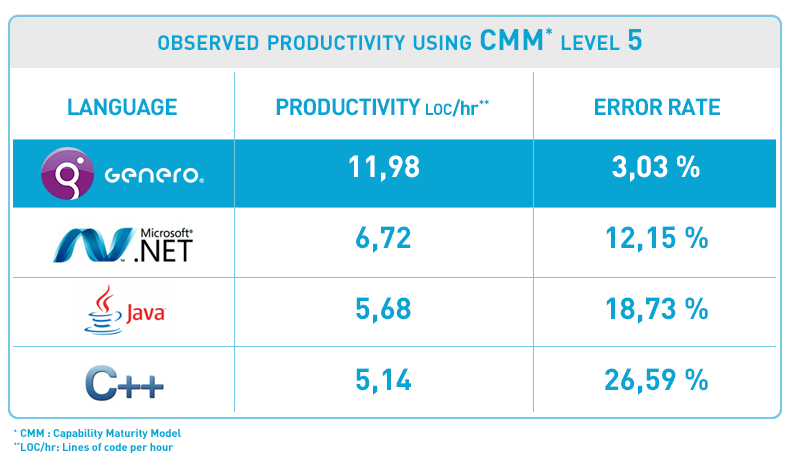 With Genero Studio, productivity improves dramatically. It produces sophisticated apps in weeks rather than months and years. Its business application modeller enables you to graph workflow in minutes with functional prototypes in hours and days. 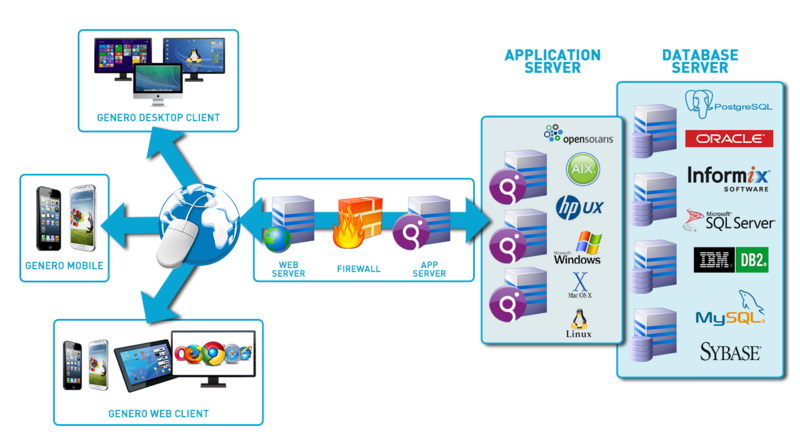 App wizards enable developers to write Web services without knowledge of the underlying http or SOAP protocols. You’ll generate the lion’s share of your app automatically, leaving only business specific rules to be coded by hand. Studio comprises the business application generator that models applications from database schemas; a code sensitive editor and analyser for super efficient program structure; a graphical debugger; a forms designer that supports desktops, browsers and mobile devices; a Web services generator to integrate with Service Oriented Architectures; a source code control system for team development; a project manager for rapid app builds and a graphical report generator. You’ll find yourself coding less, while delivering more app at the same time.